A visit to Reptiland would not be complete without catching a reptile show! Our live shows are interesting, educational, and interactive. 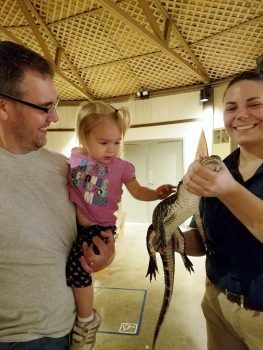 Learn all about fascinating creatures, interact with our knowledgeable staff, and even touch an animal or two! Live shows can be seen daily at 10:30, noon, 1:30, 3:00, and 4:30. Shows vary by season but always include a touch opportunity. Read on for details on our current shows. 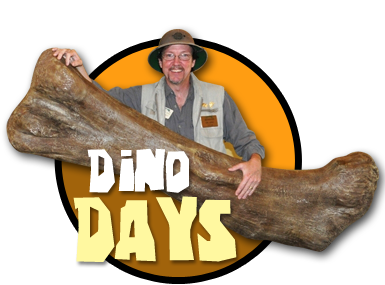 This 30-minute show is all about reptile diversity, introducing guests to the four main groups of living reptiles with artifacts and touchable animals! **Off-season exclusive: After the show, head to the Exhibit Gallery for a special animal feeding! Animal encounters occur daily at 11:30, 1:00, and 2:30 in the Exhibit Gallery. Enjoy an up-close experience with one of our professional keepers and a special animal. Questions about our shows? Please contact us!